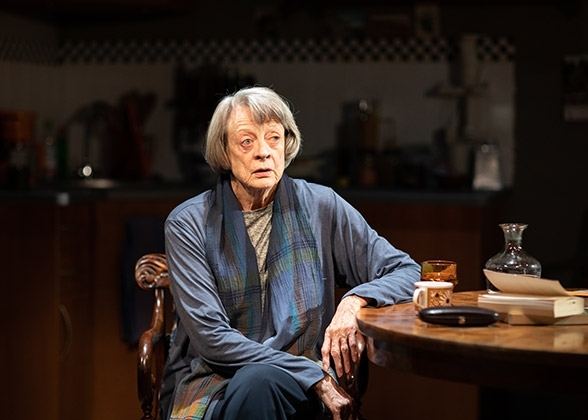 First images of Dame Maggie Smith in the stage production of A German Life have been released ahead of its official opening at the Bridge Theatre in London. The legendary actress stars in Christopher Hampton’s (Dangerous Liaisons, Atonement) new play, a one-hander drawn from the life and testimony of Joseph Goebbels secretary Brunhilde Pomsel and from the ensuing documentary A German Life. Brunhilde Pomsel’s life spanned the twentieth century. She struggled to make ends meet as a secretary in Berlin during the 1930s, her many employers including a Jewish insurance broker, the German Broadcasting Corporation and, eventually, Joseph Goebbels. Pomsel broke her silence on the war era shortly before her death claiming she had very little idea what was going on and that she wouldn’t be made to feel guilty. 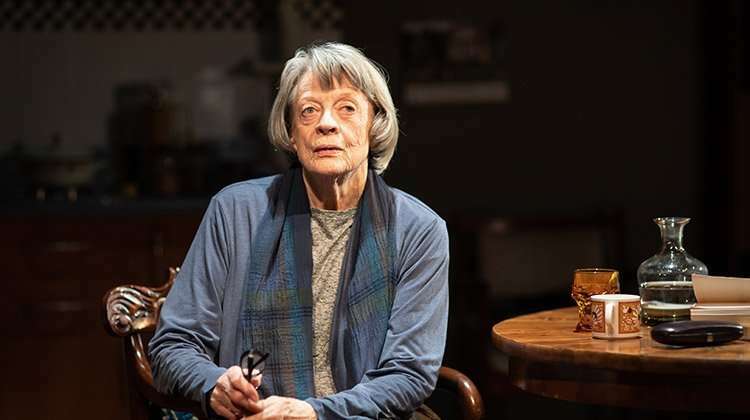 Maggie Smith’s illustrious career includes over 75 theatre productions, 50 films and numerous television shows including the Downton Abbey series. 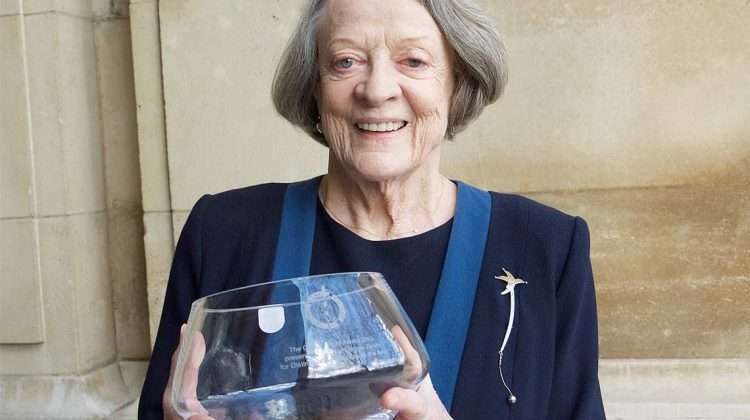 Her many awards include Academy awards for The Prime of Miss Jean Brodie & California Suite, five BAFTAs, four Emmys, nine Evening Standard awards and a Tony. She was last on stage in the 2007 production of Edward Albee’s The Lady from Dubuque at the Theatre Royal Haymarket. 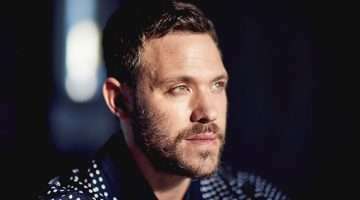 The sold-out production runs for 5 weeks and is directed by Jonathan Church. 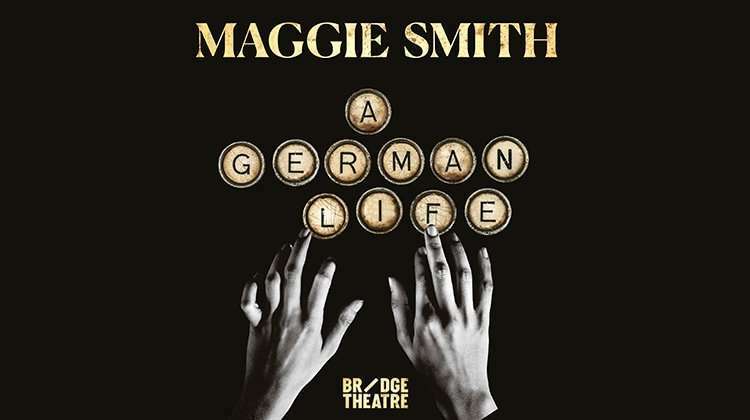 A German Life runs until 11 May 2019 at the Bridge Theatre, London.